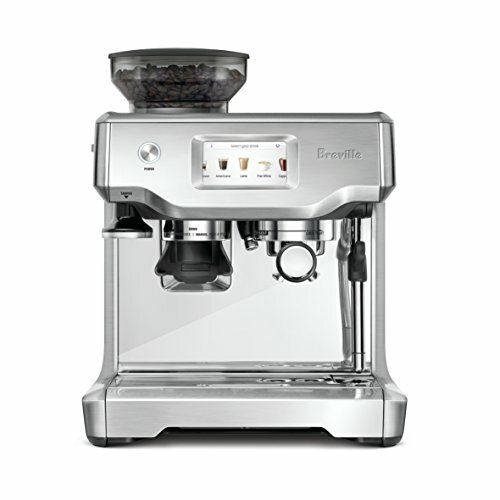 If you’re looking for a quality manual coffee grinder, which is adjustable, you may wish to look to the Brillante BRMCGSS1 manual grinder as a solution. This hand grinder is versatile enough to handle a range of grinds, from coarse enough for French Press to fine enough for espresso, all with the turn of a crank. 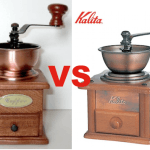 The Brilante Manual coffee grinder offers just a little bit of the old, as well as some of the new, and for the price of around $30, you are guaranteed some great results, so long as you have decided that manual grinding is the way to go. Some people say that manual coffee grinders are like taking the scenic route, which is just fine with some people, but not others who needs things sooner than later. 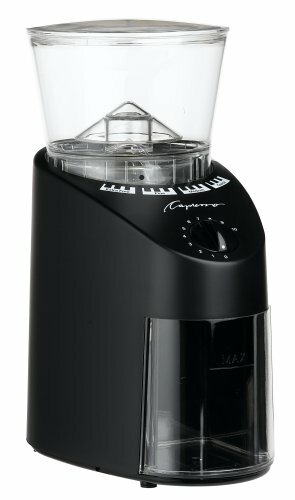 That said, in just over a minute, you can grind approximately 38 grams of coffee using this grinder, which equals about six tablespoons of whole beans which can serve two people. This grinder isn’t really designed for volume and speed – it’s more about relaxing and taking your time with your beans. Did you know that a slower grind actually benefits the flavor of your coffee beans? It does. 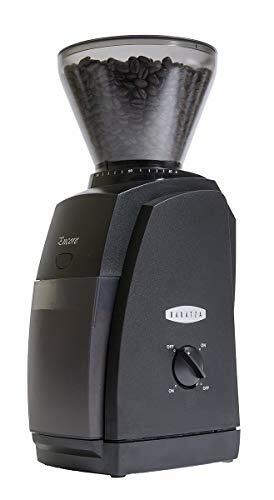 The convenient design of this unit makes it easy to add more coffee beans into the hopper, so you can quickly add and grind more beans until you have enough grinds for the amount of coffee or espresso you need. With each refill, it isn’t necessary to unscrew the crank handle like some other coffee mills, which is quite convenient and one of the big bonuses of the Brillante manual coffee grinder. 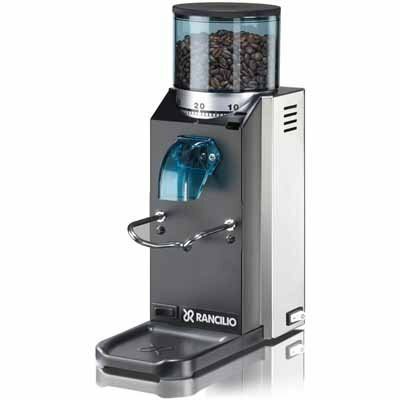 Here is a quick look at the Brillante manual coffee grinder as seen in this independent review by Marksvilleandme. 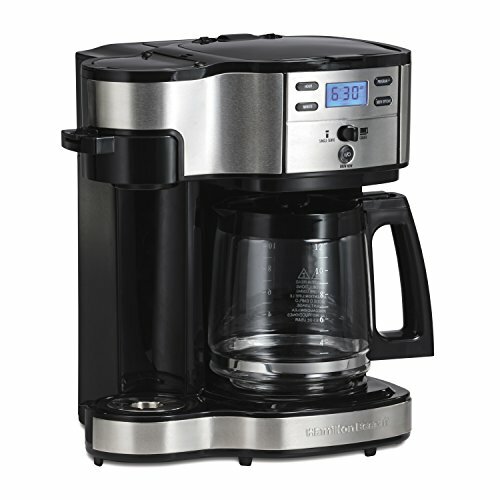 If you’ve used electric coffee grinders, you will know that many of them can be quite noisy. Such is not the case with this Brillante manual coffee grinder. In fact, this is a lot closer to grinding pepper than it is to the regular screech of some coffee grinders. It’s not as if this machine is totally silent, but you might say that it has a more pleasant sound to go along with the manual grinding of the beans, and, as such, the grinding is quite a bit slower paced than your average electric burr or blade grinder. In this case, you sacrifice some speed but you gain some old-fashioned hands on appeal while preparing coffee in your kitchen. 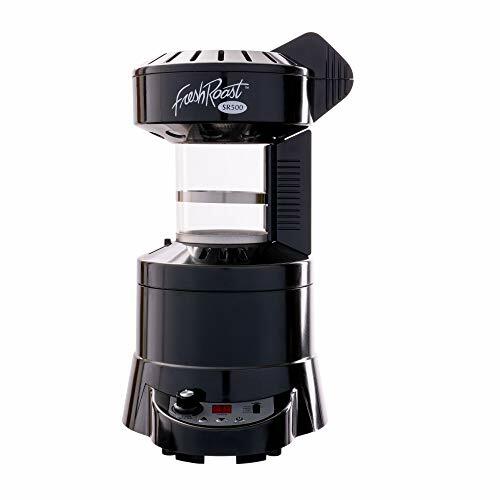 Lack of consistency when it comes to your grind size becomes a recurring problem with less expensive coffee grinders, but this is not an issue with this Brillante manual coffee grinder. No matter if its french press, drip coffee, or espresso, the grind quality is generally quite consistent. That is one of the main advantages of this particular model, and customers seem to love it. To change the grind settings, just adjust the nut – tighter gives you a finer grind such as for espresso, while looser gives you a coarser grind for your drip coffee / French Press setting. 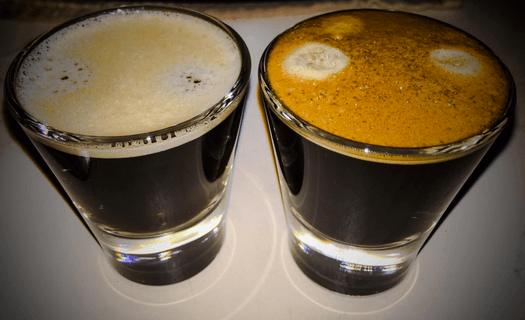 If you’re not a coffee aficionado, you may not be aware that grinding manually with a burr grinder is one of the best ways to maximize the flavor of your beans. Why? 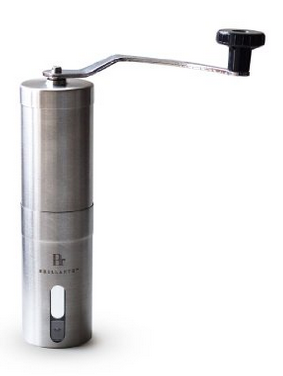 In a nutshell, burr grinders like the Brillante are always a step above any blade grinder. 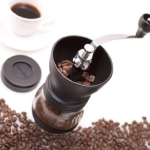 Burr grinders actually mash the beans up rather than slice them, which, for reasons that would require a fairly geeky and long explanation, basically allows the flavor to be more fully extracted from your favorite fresh whole coffee beans. 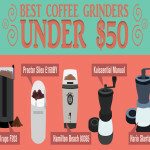 On top of that, burr grinders generally don’t get as hot as blade grinders – especially not hand crank manual-driven coffee mills like the Brillante, and so you are forced to grind slower. In any event, too much heat from your average blade grinder can burn the beans and alter the flavor once the coffee gets to your cup. 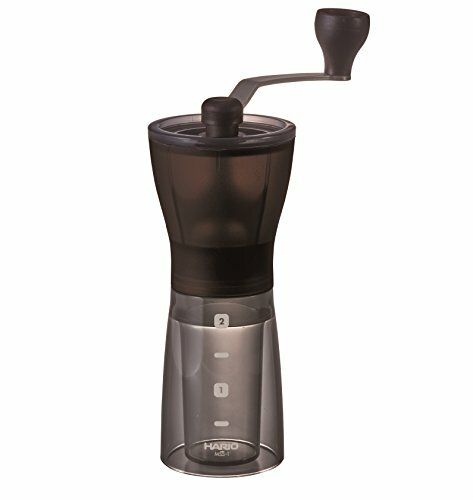 So, there is a very strong argument for having a manual burr grinder, because it delivers the most accurate flavor possible. 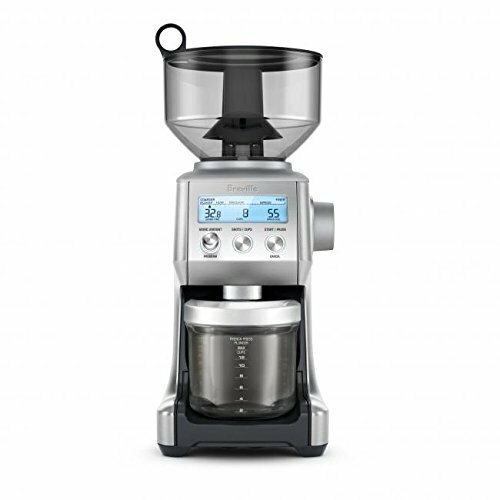 This coffee mill has a simple, elegant design reminiscent of the Porlex JP-30, a slightly more expensive model of coffee mill in the same vein. If you are a fan of simplicity, portability, and durability, this stainless steel design looks very attractive in most kitchens, as it matches a most modern-day decor. There is a practically-placed viewing window on the bottom of the Brillante manual coffee grinder so as to indicate when you are running out of beans. Aside from this tiny portal of glass, what you get is a stainless steel housing and a chrome handle with a black knob on the end. That may not sound very glamorous in print, but when you actually look at this grinder you can see it was made with simplicity and elegance in mind. Simple to operate – just grab hold and grind!